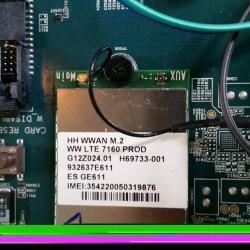 At the international IoT network event in Barcelona, the LPWA Europe 2016, Telekom Austria Group announces that its Austrian subsidiary A1 has tested NB-IoT technology in the live network with the support of Nokia and Intel. Last June Telekom Austria Group M2M became the first operator in Austria to ignite the turbo for the Internet of Things. In a successful demo the Telekom Austria Group's M2M team showed off mobile communication for machines, the Narrow Broadband Internet of Things (NB-IoT). The Group's M2M team can now report a further milestone in the expansion of NB-IoT and usher in a new era in Austrian mobile communications. 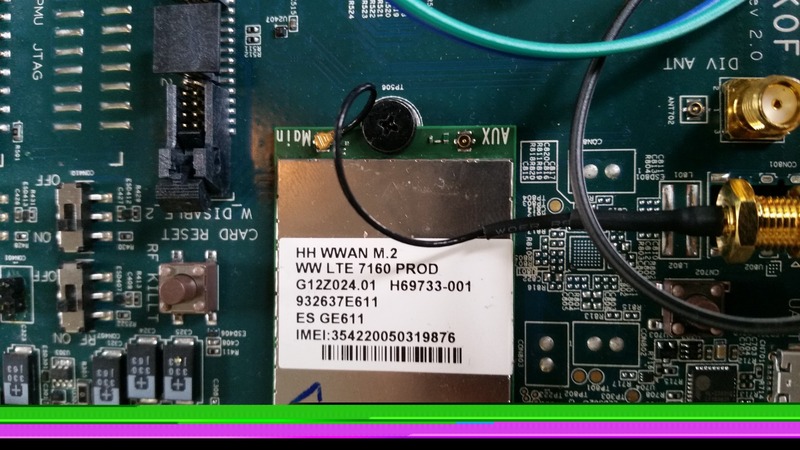 On 25 October 2016 an NB-IoT modem was tested in a live LTE network for the first time in Austria. NB-IoT was activated in an area of the A1 network in Burgenland around the town of Mönchhof so that extensive tests could be carried out. 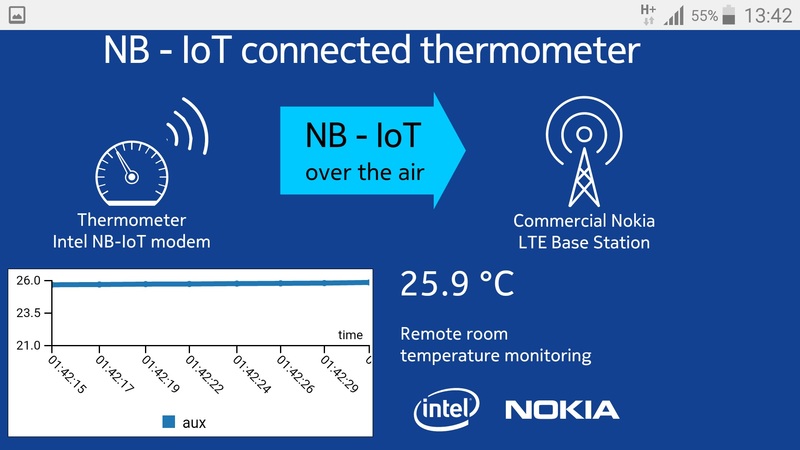 An Intel NB-IoT modem successfully connected to Nokia's LTE radio access technology and delivered the measurement data continuously and extremely efficiently without impairing service for other users. Bernd Liebscher, Managing Director of Telekom Austria Group M2M said, "After many tests in a lab environment, we carried out a successful live test for the first time in the A1 LTE network in October and are absolutely on the right track with our NB-IoT strategy. NB-IoT offers virtually inexhaustible potential and the development of the technology in the past two years has been impressive. We are therefore all the more pleased to have been able to successfully carry out the first tests in the live network with our partners Nokia and Intel". The Intel modem connected to a combined sensor for temperature, air pressure and air humidity. 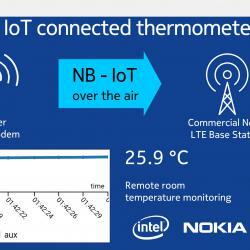 The sensor's data was constantly transmitted from the device via the NB-IoT modem to a server and depicted on a graphic interface so that the temperature could be monitored. Temperature, air pressure and air humidity were thus transmitted in real time. The tests showed that the IoT is now ready for the live network environment. The tests were carried out in the existing LTE network and only one software upgrade was necessary and there was absolutely no impact on the quality of service for existing LTE customers. As there is no need to build a separate network or install new antennas, the use of NB-IoT also saves costs and resources. Peter Wukowits, Country Senior Officer Austria and Head of Central Europe at Nokia, said: "It is at the heart of Nokia's strategy to support the programmable world with billions of connected people, devices and things. We are innovating to allow our customers to evolve their offerings. This trial will lay the foundation for an IoT ecosystem in Austria, and allow Telekom Austria Group to exploit the massive opportunities that it brings." To meet the challenges of mobile communication for machines – experts anticipate that by 2020 Billions of devices will be networked – many of them will be integrated into the mobile networks in the next few years. The introduction of NB-IoT that runs over an excellent network infrastructure is the next logical step in the Telekom Austria Group's M2M strategy to make the best technology and know-how on the market available to customers and partners. By consistently further developing this technological step in cooperation with respected partners, the Group is able to serve the fast-growing IoT market. In mid-October 2016, Telekom Austria Group became an official NB-IoT Forum member of the GSMA, taking its place alongside such prominent representatives of the telecoms industry as Deutsche Telekom, China Mobile, Nokia, Cisco, Huawei, NTT Docomo and Telefónica. Unlike broadband transmissions such as video streaming or surfing the Internet, M2M applications in the IoT band, require only small data packets. Narrowband IoT was developed as a narrowband wireless technology to use LTE technology as efficiently as possible by enabling small amounts of data and low data rates to be transferred over existing mobile communication infrastructure. NB-IoT was developed specifically to provide massive support for M2M applications over LTE and is characterised, among other things, by very low power consumption which means that modules can be installed at a distance from the electricity grid. The network technologies used fall into the category Low Power Wide Area Networks (LPWANs) and are based on standardised, non-proprietary systems that enjoy the support of the mobile communication industry worldwide. It is thus not a niche technology, but an established global standard that has the support of the entire telecommunications industry, i.e. sooner or later, it will become available in all countries that have LTE networks. The advantages of this optimised LTE variant are low implementation costs, network coverage that can be maximised by up to 20dB compared to LTE and high energy efficiency.